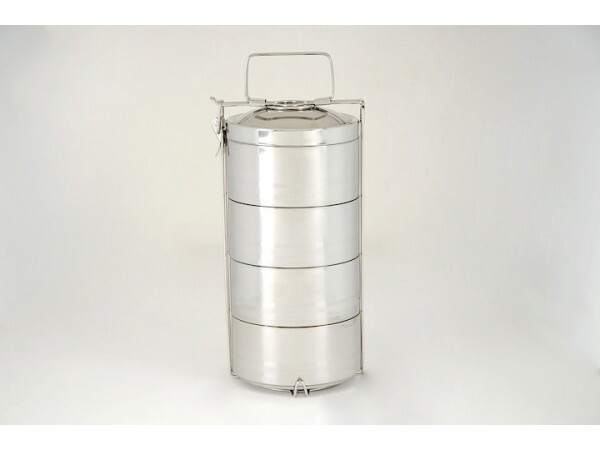 Stainless Steel Food Storage Container The Tiffin! This beautiful, four layered doubled walled lunch box will be the envy of all in your lunch room. It will keep your food hot or cold for hours! Perfect for school, take-out, work or picnics. Easy to clean, easy to use. It is made from #202 food grade Stainless Steel. 14cm/5.5" in diameter﻿﻿.